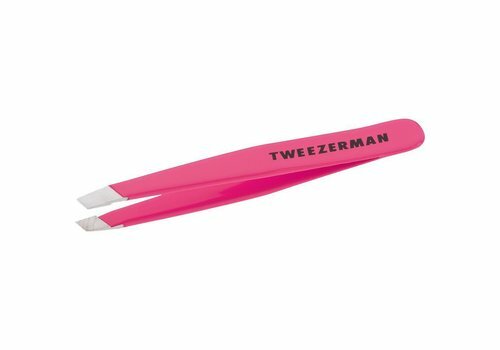 Buy Tweezerman Tweezers online at Boozyshop, the makeup webshop! 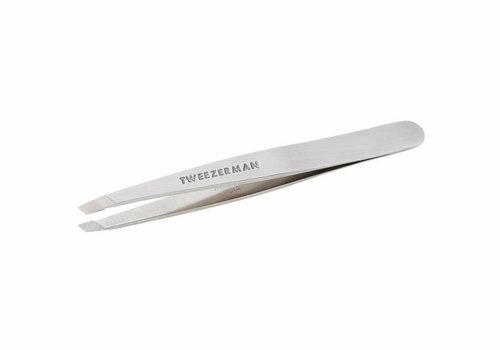 The fantastic Tweezerman tweezers remove every hair that you want removed with the greatest precision. These award winning tweezers have been given a legendary status because of the precision and ease with which these hairs can be removed. The tweezers are incredibly easy to handle and have a 25-degree angled tip that is perfect for shaping your eyebrows. The tweezers have a perfect grip and give just the right stiffness with which you can grab and remove hair easily, precisely and firmly. Has a perfect angle of 25 degrees. Is made of stainless steel. Is calibrated to the perfect for the perfect grip. Is the top brand tweezers in the market. Used by many famous make-up artists. Handmade and hand-honed for an extra sharp point. It is advisable to take a hot shower or wash your face with warm water to allow the pores to open. This will make it easier to remove hairs. Grasp the hairs in the direction of hair growth to prevent the hairs from breaking off. Use the slanted tip to isolate hairs and stick them from the root, which is softer for the skin. After you have removed the hairs, it is advisable to dab with cold water. In this way the pores can close again. Buy the Tweezerman tweezers today at Boozyshop! It is clear that Tweezerman is the leader in the field of high-quality tweezers. With the various awards they have won for the tweezers, they are one of the best producers of tweezers. Have you become enthusiastic about Tweezerman's popular tweezers? Can not you wait to use the high quality tweezers yourself? Order your Tweezerman tweezers at Boozyshop today!